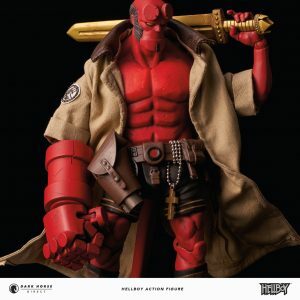 As revealed at San Diego Comic-Con, Dark Horse Direct is thrilled to share more details from its two newest products, the Hellboy Action Figure and the Game of Thrones: Ice Dragon & The Night King Premier Statue. 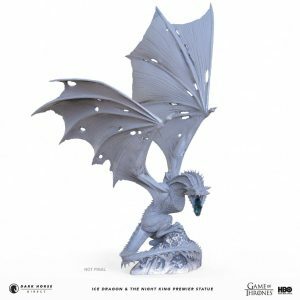 These two new deluxe collectibles join the Umbrella Academy: Spaceboy Maquette, Game of Thrones: Tormund Giantsbane Figure, and the Game of Thrones: Iron Throne 18” Replica Statue as part of the inaugural Dark Horse Direct lineup! 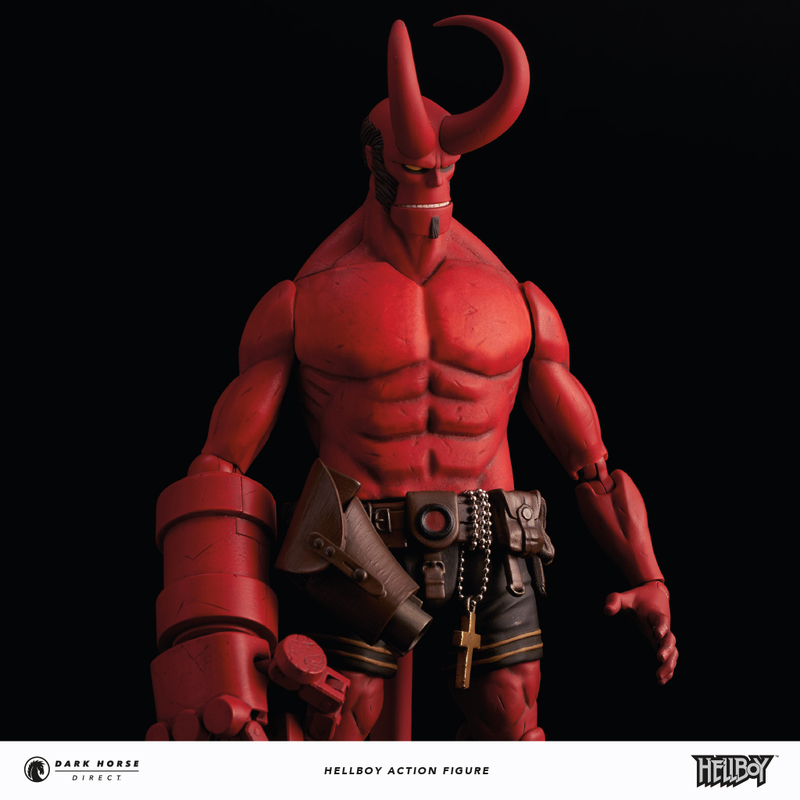 Dark Horse Direct, alongside creator Mike Mignola and 1000toys, are proud to present the fully articulated, 1/12th scale Hellboy action figure of your dreams. Made from PVC and standing at 7.5” tall, this stellar Hellboy figure comes with interchangeable Beast of the Apocalypse head, closed fist hand, open hands for holding other accessories, separate gun, Excalibur sword, and removable cloth jacket. This $119.99 version is exclusive to Dark Horse Direct and is available for pre-order now. 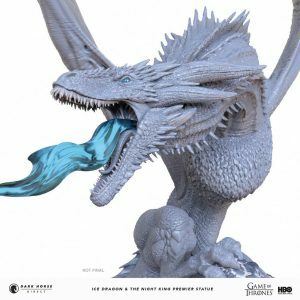 The Game of Thrones: Ice Dragon & The Night King Premier Statue is made from polyresin and sculpted by Bigshot Toyworks, this premier statue has been crafted with the utmost care and dedication to every detail, from the blue flame piece to the rips in the wings. Looming at 24″ tall, all Game of Thrones fans need this premium statue in their collection. DH Direct will share more details and pre-order information soon. With many more exciting products to come, Direct.DarkHorse.com is ready for fans to check out!